Get an inside look at my recent launch strategy and outcome. With minimal ad spend and a low-priced beta program, I was able to generate 7.5K in under 10 days. 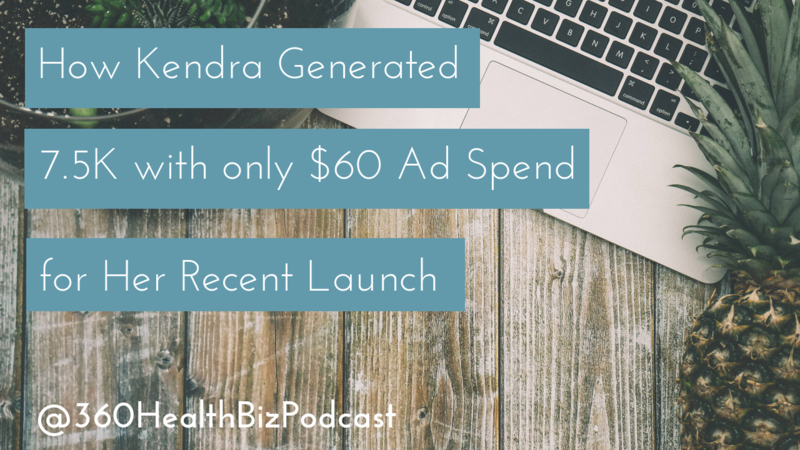 If you are scared to launch a product and/or program or you recently launched a program with less than desirable success, this episode is for you! Christine and I take you step-by-step through my exact strategy that she used to bring 55 new clients into her Group Membership Program. Listen to this episode on our website, iTunes, Spotify or on your favorite podcast app. Do you like this episode? Leave us a 5-star review on iTunes and we promise to give you a personal shout out on air. Grab our FREE Practitioner Tool Kit to get a list and review of all the platforms Kendra and Christine use personally in their businesses to save time, money and generate consistent income.